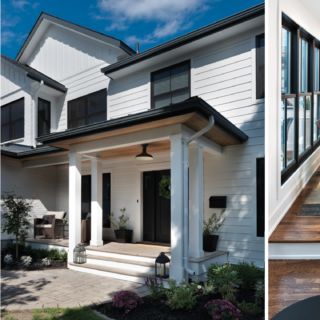 This story appears in the 2014 Interiors edition of OTTAWA Magazine, on newsstands now. 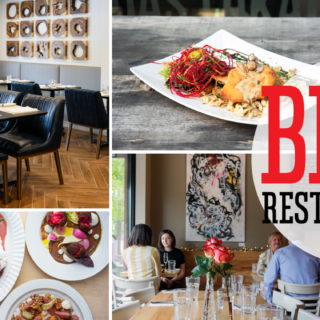 Click here to subscribe to the print or digital versions. As a university student, photographer Rémi Thériault developed a keen interest in the Second World War. Some years later, his parents moved to France, settling near the famous Canadian First World War battle site of Vimy. After visiting the Vimy Memorial, Thériault became fascinated with the First World War and began photographing battle sites in France and Belgium where thousands of Canadians fought and died a century ago. Many of the locales look very different today, yet the past lingers. “I was interested in shooting the duality of those sites,” Thériault explains. At the site of a famous battle at Courcelette, France (pictured above), there once stood a sugar refinery that Canadian soldiers captured from the Germans in September 1916. 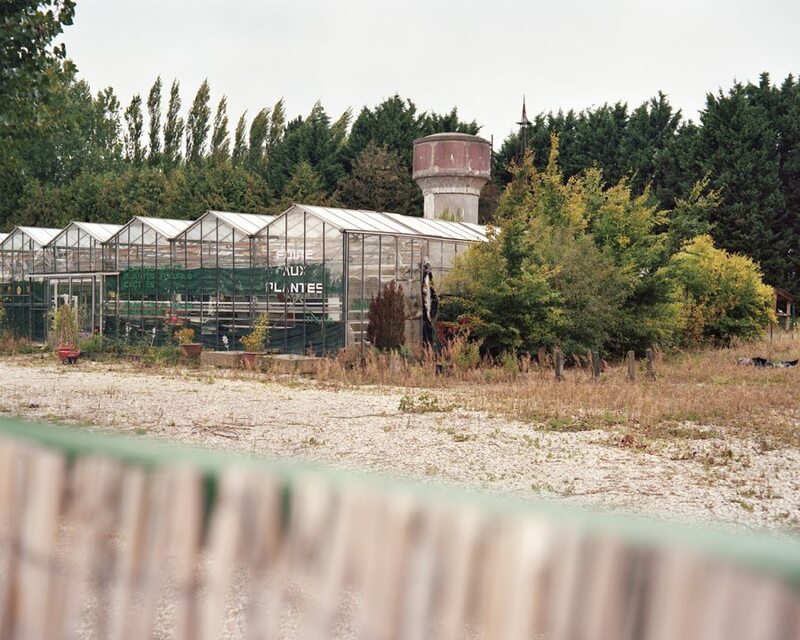 Today, we see a greenhouse and a water tower. But sadness and dread remain. This is one of more than a dozen contemporary photographs, sized 32 by 40 inches, that form part of Thériault’s solo show, Front, at the Ottawa Art Gallery from Feb. 7 to March 30. 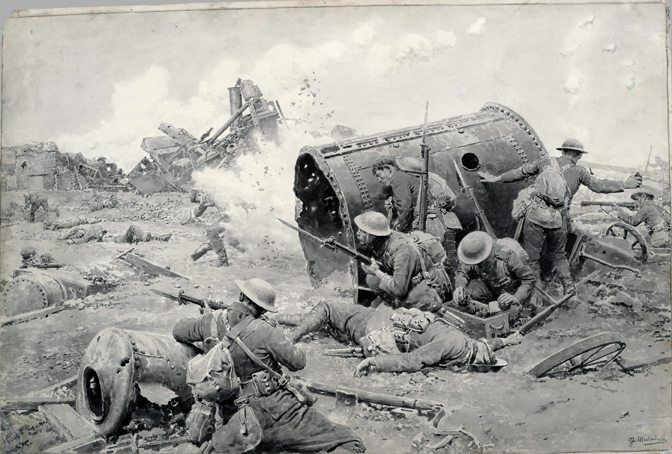 The Capture of the Sugar Factory at Courcelette by the Canadians on 15 September 1916 provided inspiration for Thériault’s series. 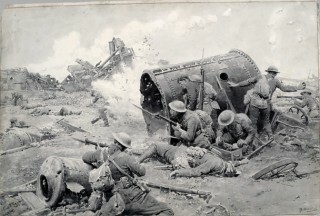 Entitled The Capture of the Sugar Factory at Courcelette by the Canadians on 15 September 1916, this painting by Fortunino Matania (right) is part of the Beaverbrook Collection of War Art. Photographer Rémi Thériault photographed the site (above) as it looks today. Another famous Somme site is Beaumont-Hamel, where hundreds of Newfoundland soldiers died on July 1, 1916. From on high, you can spot figures, looking almost like soldiers, meandering through the well-maintained trenches — refocus, and you realize they are maple-leaf-wearing Canadian tourists. The old and new coexist. One of Thériault’s most lasting memories is passing through a farmer’s field in the region and coming across soldiers’ belt buckles, pieces of leather, and shells still there from a century ago. Thériault currently has plans for two more projects related to Front. One is a book in which his Front photos would be paired with fictional writings about the sites, written by Ottawa brothers Andrew and Colin Vincent. Another is a series of portraits of contemporary men and women aged 16 to 19, the age of many of the First World War soldiers. A third, unrelated project involves photographing contemporary sites in the Maritimes from which Acadians were deported abroad in the 1750s.